Some days you just need a comforting dish to make everything seem better. It’s been a rough week and after a long day Monday to start my week, comfort food and a little luxury food seemed to be in order. I always have a variety of cheese in my refrigerator, even thought I don’e eat as much cheese as I use to. There’s just something comforting about cheese and I enjoy having it on hand. I had received a few coupons from the nice folks at Kerrygold (I love there butter!! ), and picked up a couple of cheeses that I wound not normally have purchased. I picked an Aged Cheddar with Irish Whiskey and a Dubliner with Irish Stout, both excellent cheeses! After a taste testing I determined the Aged Cheddar would be the best compliment to the broccoli rabe. For the remainder of the cheese, I used a store brand of 3 year aged cheddar….sigh….I do love cheddar! For this dish I thought a twist was in order, I do make mac and cheese through out the winter, hearty and comforting, but for a beautiful spring day, I wanted to venture off the beaten track just a bit. 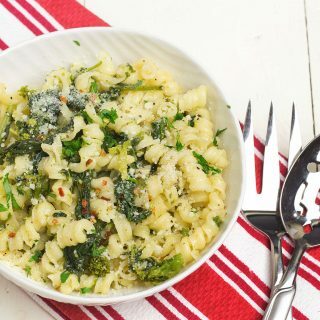 It came down to what I had in the refrigerator, and I thought the broccoli rabe made more sense than the pineapple, although the more I think of it pineapple mac and cheese might be pretty darn good! I also had mushrooms in the refer that needed to be used and since we both love mushrooms it was a no brainer. 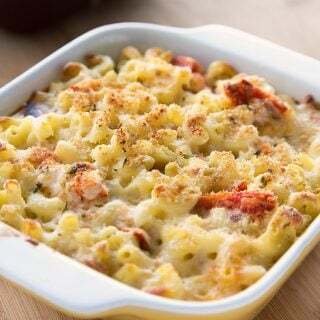 I do love mac and cheese, but I like it more as a side dish than an entree, and as luck would have it I had picked up some beautiful lobster tails at Sam’s club a couple weeks ago, and after a quick thaw in the sink as I whipped up the mac and cheese, they were ready for the grill! I know lobster sounds like an extravagant meal, but at Sam’s club I can pick up two 8 oz tails for under $20. Just think of how much they would cost at a restaurant and there a bargain at that price ! Now I was excited…..yummm, grilled lobster and mac and cheese…….life is good! In a large sauce pan add the butter and allow to melt, add in the flour and mix well. Turn down heat and allow to cook for about 5 minutes. Do not let roux get brown! Add hot milk to roux and blend well to make sure all of the roux is incorporated. Continue to simmer on low and add in your about 3/4 of your cheese, reserving some for the top. When the sauce is almost done reduce heat to very low and begin cooking your pasta. In a large pot cook pasta per instructions on box, reduce cooking time by 2 minutes. when pasta is done, mix sauce, cooked broccoli rabe and mushrooms together. Pour into a casserole dish, top with the remaining cheese and bake for 30 minutes or until the cheese is bubbly and golden brown. Allow pasta to rest for about 5 minutes before serving. I get a lot of questions about using social media to help network with other bloggers and to get your blogs more exposure. Twitter is a must, while you can find many of your friends on twitter, and its nice to connect with them while your on twitter, what you really get out of it, is the cross traffic. The unknown followers, these are the new people you are looking for. Twitter allows people to find you that might normally not find your blog otherwise. Twitter also allows you to keep up with the biggies in the blogging world, and if you tweet them, they might just answer you……and you never know where that could lead! So join twitter if your not already on board, and tweet away! Tweetdeck is a nice tool to use to help keep you organized on twitter, check it out! This is a great way to keep in touch with family and friends, but it also has a down side….you can get overloaded with people you don’t know, or have nothing in common with. That being said, its also a great way to connect with people you might not normally meet…..authors, publicists, and of course the occasional celebrity! I have to say this is probably a must as well, have a fan page for your blog, and let everyone know about it! An easy way to find friends to connect with is to visit a fellow blogger that you know and open their friends list up, go through it and send a friend request to those you know. Its a fast and easy way to find them. What ever social media you do use, make sure you have the links near the top of your blog page to make it easy for everyone to click on them to find you, like you or follow you! I have tried CS4 and it just seems to be a bit much work for what I need, PS Elements is an easier editor to use, with a much lower price tag. I also use Lightroom, and I do like the workflow aspect of it, it is a time saver. If you go to Adobe’s website you can try any of the software for free for 30 days. It’s a great way to see if you like it enough to buy it. Paint shop Pro is another option, but you have to pay for it, and I feel if your going to buy a program stick with the industry standard, it’s Number One for a reason. Go to Adobe an download the software for free, you have nothing to lose. If you do decide to get any major software, remember what we said about getting an education discount, it will save you lots of money on CS5! see if one is available. when you put in the key words, add in the words for the channels that you want them to be in at the same time, just add healthy, family, everyday, travel, what ever you want it to appear in, its just that easy! You don’t have to go back to edit and pick them out, so you save a step. You can thank Susan at Eat Little, Eat Big for that gem! Thanks Susan! and if you want to get noticed for the top 9 thats the only way its going to happen….no upload, no photo, no top 9! While were on the upload, please use your blog name or your name. When I’m buzzing, if it says my blog, mine, or anything closely resembling those, I just pass it by. But if I know who it is I buzz it open it and read it! Don’t forget, these easiest way to keep up with your friends on foodbuzz is to click on buzz and when it opens at the very end of the bar it says my friends. Click on my friends and all the new posts from your friends will appear. If you can’t read them all at least you can buzz them! That’s it for today my friends, its been another killer week, with the biggest event of the year Wednesday. My girls will be out in force to help with the dinner, and after that its all down hill, with just a few small events as we finish up our last few weeks…..
Before I go I did want to mention that I was interviewed by Munaty Cooking Magazine it really is a beautiful publication, and if you want to learn a little bit more about me, click on the link and check out my interview! Have a wonderful week, and until next time, remember! Hmmm.. I don't know which is more intriguing. The mac & cheese recipe or your tips! I need to pay attention to FoodBuzz more. I've been neglecting it. Great tips! 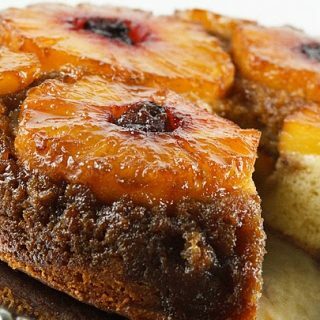 Saw this recipe on YBR and just had to check it out. Amazing. Mac and cheese is one of my favorites – definitely comfort food! – and I love the addition of broccoli rabe. And those lobster tails look to die for! Beautiful photos. And thanks for the social media tips as well, I can always use them! I have some havarti cheese in my fridge that I've been trying to figure out what to do with…maybe I'll have to make some mac & cheese now. Yum!! Oh…and I LOVE Dubliner cheese. So good!! Thanks for sharing! Wow. As usual, thanks for the helpful tips! Together we are stronger. The mac 'n cheese looks fabulous, especially paired with lobster. 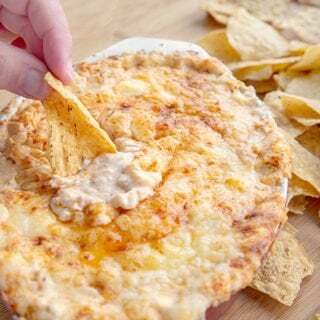 Will be making asap. I am so grateful I live in New England. This sounds like the perfect dinner to me! Mac and cheese and lobster–the best of both worlds! Can you believe that the school year is almost over? I remember reading your posts on what's cooking at the Mount in September when it just started! I have just spent the better part of the day outdoors (partially at a new farm and partially at an obligatory sporting event) in the freezing rain that threatens to turn to snow. This dish could not be closer to nirvana (not the band) than I could imagine. I could crawl right inside it as cold as I am right now! I totally agree on Mac and Cheese and love your creative choices! Your advice is also stellar as always (love the tip about 'if you don't have time to read, you can still buzz'; brilliant). Looks like you lost some of your comments in the Blogger fiasco! I could have sworn that I commented on this post. That Mac and Cheese looks "over the top" delicious and that lobster looks divine! I have some awards for you over at my place! So, when are you having me over for dinner?! This looks and sounds amazing!! I will definitely have to try the recipe! I can vouch for picnik, it is what I use and LOVE. So easy, used it for over a year now. I have a 3 year aged cheddar cheese I bought in Vermont that I have been saving for something nice. Now I know what to do with it. Thanks for the great recipe! I've learned alot from your sharing about Foodbuzz etc so happy to share a tidbit with you and your readers! The mac n cheese looks and sounds simply amazing-how can you go wrong with that cheese? This looks awesome! Yummy recipe. Mouth is watering with that broc rabe addition and now I'm missing DiNics. I could put broc rabe on everything but never thought to add to mac-n-cheese. Nicely done. Can't wait to give this a try. That is the most perfect meal of comfort food! This macaroni and cheese looks amazing especially with that lobster tail on the side. Yum! Wow, now that is a meal to raise your spirits! Fantastic. I hope this week is treating you better so far. This sounds so decadent Chef! I won a giveaway of 12 wedges of cheese so this is definitely on my to-make list now. Thanks! 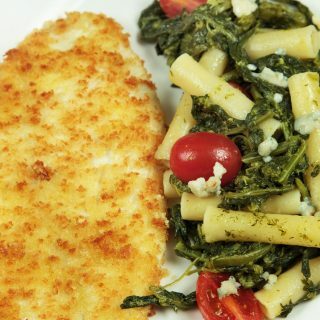 Your dinner looks amazing! Mac n cheese at a whole other level! Thanks for the latest tips with foodbuzz, twitter etc. Still learning SO much! I haven't made mac and cheese for such a long time, but I love where you are going with this one. Kerrygold is one of my favorite cheeses for both cooking and snacking. Those lobster tails on the side bring it to a whole new level. I'll have to check out your article and good luck with your event today. One more great post, for me the best part is the list of photo editing software. Thanks! Mac and cheese is probably one of the foods that I would eat at my last supper. Absolutely comforting and now with the element of the broccoli rabe AND lobster? Too much and in a good way! Love it! Macaroni and cheese with lobster?? You're lucky we aren't neighbors or I would show up coincidentally around dinner time every night to see what you're up to! I love trying different cheeses. I'm going to read your interview now and check out a couple photo editing softwares that you mentioned. Leftovers with lobster! I'll have to try it. 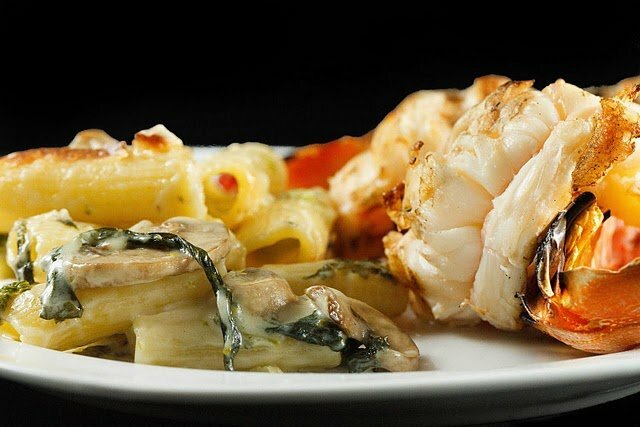 Your mac n' cheese is gorgeous, and paired with grilled lobster tail, over the top! thanks for sharing. I always learn something new, when I read your blog. The grilled lobster tail did it for me. My guy would most likely prefer to have the mac n cheese as his entree and I'd be more than happy to eat his share of lobster. I love trying new mac n cheese recipes since he is such a fan. Thanks for this variation. Looking forward to trying it sometime. Yummy! What a great twist, Chef Dennis! I find rapini can be a bit overwhelmingly bitter sometimes, but I bet that's actually an asset here… I'd imagine it balances the rich creaminess of the mac n' cheese beautifully. We posted very similar recipes today! Weird! Except, mine is minus the lobster, unfortunately. 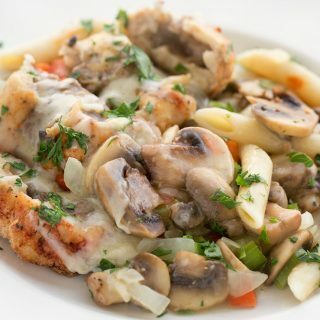 This looks amazing, as usual…and yes, comfort food is wonderful. We're getting a little break in the heat today, so a baked pasta sounds great. Love how easy this comes together. Wow Dennis! That is some mac and cheese you got going on there! It looks so amazing and then the addition of the lobster? Holy macaroni! This is my kind of meal! An awesome mac & cheese there with broccoli rabe and grilled lobster, yum! Another great dish Dennis and I'd guess siding it with a lobster tail made it even more comforting. Congrats on your interview, Dennis! Love the dinner that you just whipped up…oh, man, I wish that plate could miraculously appear in front of me. Both the lobster and mac and cheese look incredible! Have a great day…and hope today and the rest of your week goes well. Another amazing meal, chef! Comfort food fit for a King. I love your description of the cheddar. Makes me crave for some now. Courage for the week: you are brilliant! Thanks also on your invaluable updates re FB etc. Have to admit, I don't do twitter and realise I should; but can't even cope with blogging as it is, and having a "life". With the end of school in sight, the grown ups and the kids just need to endure to the end. Here's hoping to a wonderful last few weeks for you. Comfort food like that macaroni and cheese certainly helps. I love how you fancied it up to create a lovely meal fit for company or family. 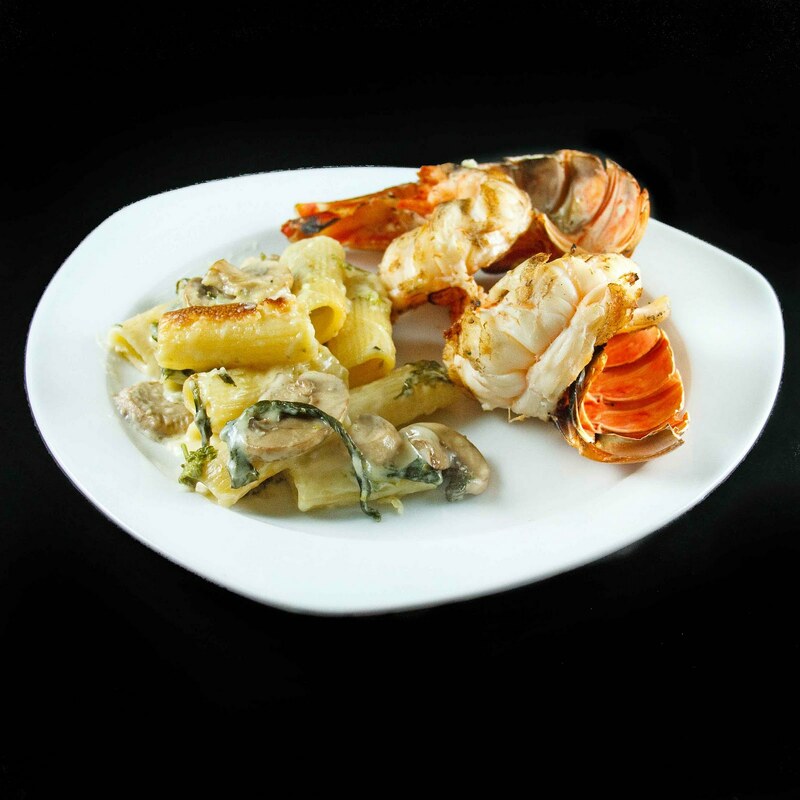 What a decadent way to serve Macaroni and Cheese – with a lobster tail – fabulous! ohhhh I'd be all over that pineapple mac n cheese *maybe that's the pregnancy talking LOL* ~ the combination of cheddars, the broccoli rabe, fantastic Dennis, I have been craving a whole lotta pasta these days and this would most certainly hit the spot. I don't cake much for shellfish but you had me with the lobster tails. and mac&cheese, who could ask for more? Love it. Thanks for sharing this wonderful recipe and your knowledge about blogging. Have a wonderful rest of the evening Chef! I think you need to come over to my house and teach me how to throw together a meal like this by just opening up the fridge and seeing what's in there. Gorgeous mac and cheese, Chef. I served leftovers tonight and boy, would I have loved to have this instead. I would have been happy w/ the mac-n-cheese alone but you took it several notches higher by throwing in the lobster. Winner! PS: All Irish butter and cheese are awesome in my opinion.